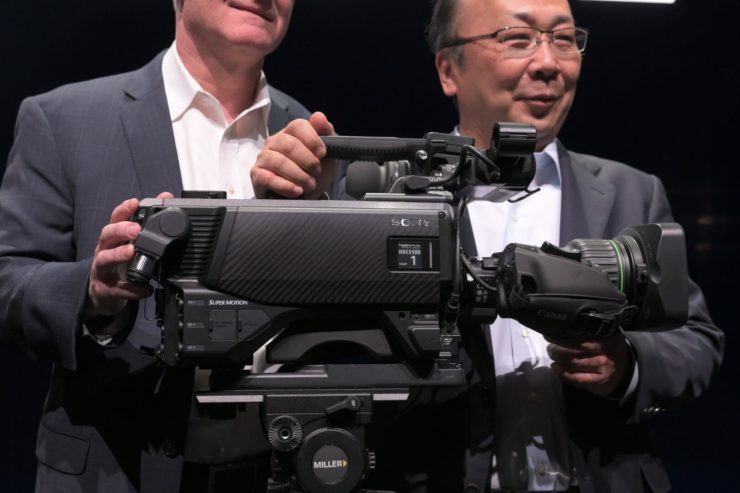 Sony has just announced the 4K HDR HDC-5500 camera at NAB 2019. Sony are claiming it is the World’s First 2/3” 4K HDR GS 3-CMOS System. The HDC-5500 is the company’s new 4K HDR flagship camera for outside broadcast applications. 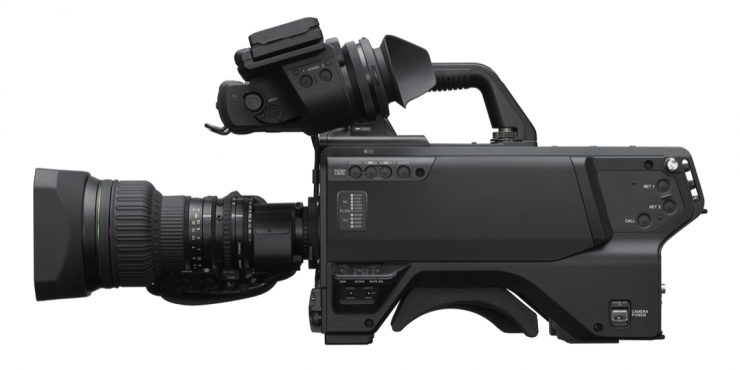 The HDC-5500 features a 2/3″ 3-CMOS 4K Image Sensors with Global Shutter. By using a powerful 4K video processor, 4K can be output directly from the camera head for live broadcast. The HDC-5500 supports optical fiber transmission as standard, with a SMPTE-standard interface for connection with associated HDCU-5500 series Camera Control Units. It’s quick and easy to reconfigure the camera at any time for fiber, third-generation digital triax or wireless operation with a choice of optional outside panels. 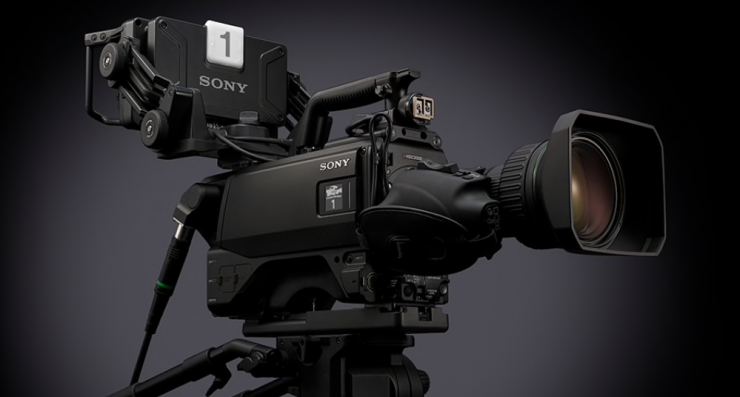 Sony also says that the HDC-500 is capable of sending 4K wirelessly. The camera does have the ability to capture high frame rates in HD via an optional paid HD HFR license. 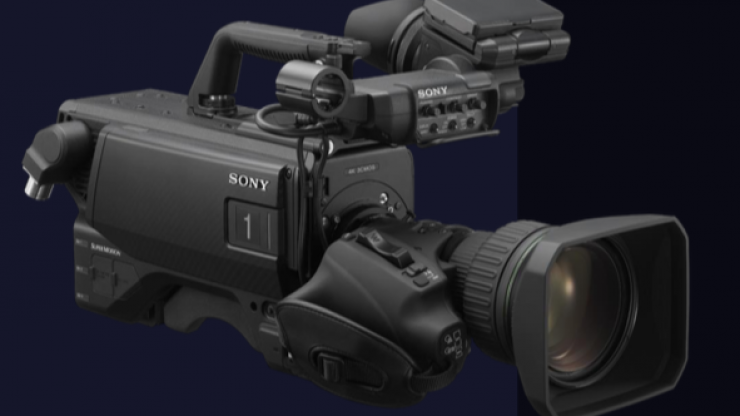 The HDC-5500 replaces the HDC-3500 as Sony’s new flagship 4K HDR shoulder mountable outside broadcast camera. The HDC-5500 looks to be a good solution for broadcasters who want a high quality, shoulder mountable camera for sporting events and other live broadcasting applications. We currently have very little information about the camera’s full capabilities, but we are assuming that they will be very similar to those of the HDC-3500. No price has been confirmed yet. The camera is expected to start shipping in May.